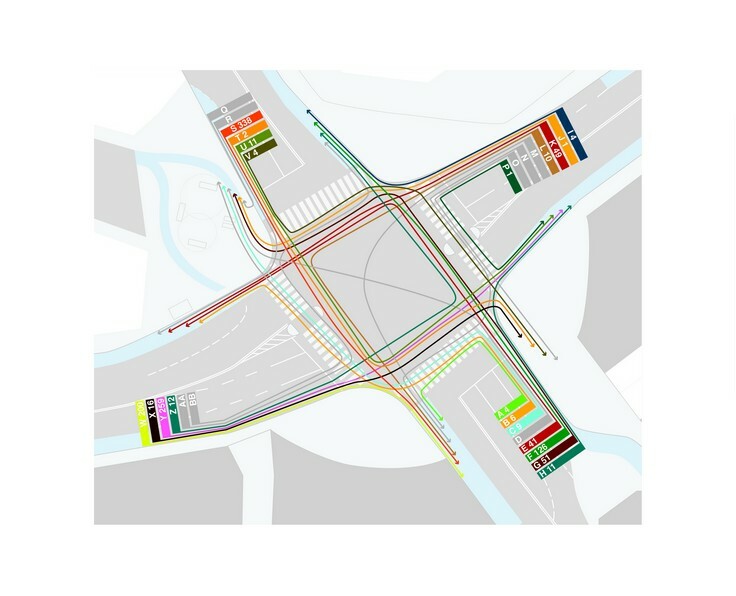 Desire Lines - Dybbølsgade, Copenhagen — Copenhagenize Design Co.
Copenhagenize Design Company once again used its Desire Lines Analysis tool to study the behaviour of bicycle users crossing two intersections at either end of a bridge in Copenhagen's Vesterbro neighbourhood – Dybbølsbro. With the coming Cykelslangen – elevated cycle track – the number of bicycle users will double. 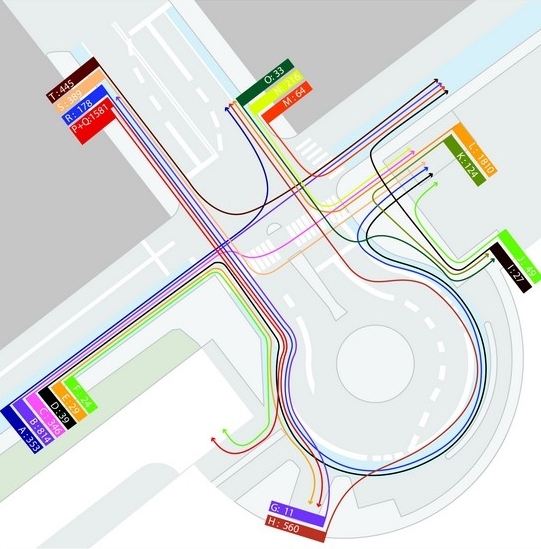 It is vital that the designs of these two important intersections are geared for the increase. This analysis was done with the invaluable help of seven students from our Bicycle Urbanism Studio at the Danish Institute. They filmed the intersections, observed the behaviour and recorded their results. In the final analysis, we proposed several Copenhagenize design solutions.